Contact Us to donate your time or services. Donations come in all forms including cash, checks, Visa, Mastercard, Pay Pal, or in-kind services and merchandise. We sincerely appreciate your donations. Whether you are an individual, community group, or business, we would be happy to discuss the opportunities you have to help a child with a life-threatening illness gain the room of their dreams. Thank you! Thank you for your contribution! 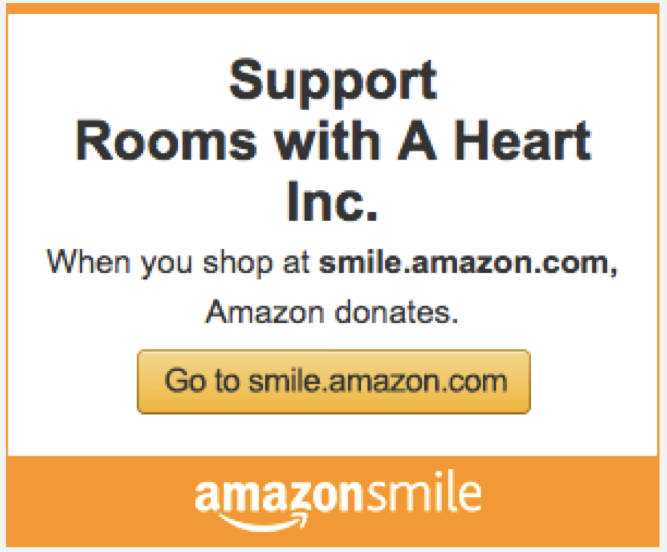 Rooms With A Heart is a 501c3 nonprofit organization, donations are tax deductible. There is no cost to you when you shop! Amazon donates a portion of their profits to charity.